Buddha mini, originally uploaded by Robsdolls™. I just opened my new Etsy shop! I started out with some mini dresses for the skinny girls. The first set is made from various colors of cotton gauze fabric. Some are hand printed, and others have applique. Take a look when you have time! Doll Diva’s Exclusive Oct. 2009, originally uploaded by Robsdolls™. Announcing my first Doll Diva’s Exclusive fashion for this year! It was posted today on Doll Diva’s message board. There were two styles, the cityscape print and and Eiffel Tower print. Pop Life Ken, originally uploaded by Robsdolls™. Limited edition platinum doll, limited to 999 dolls world wide. I was lucky to get him! Can’t wait for his arrival! What is the CDDC you ask, well it is the Couture Doll Design Challenge. 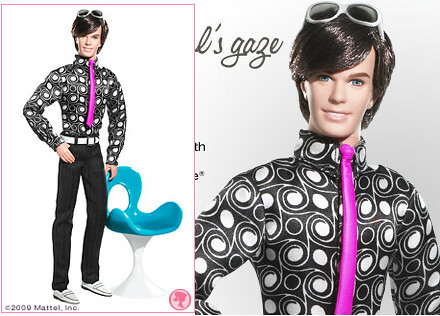 It is the doll worlds answer to Project Runway! Featuring a talented group of designers from all over, pitting their wits and creative insights against each other challenge after challenge. And the fun doesn’t stop there either, they also have a great group of regular panel judges and a special guest judge for each challenge. I am lucky enough to be the special guest judge on the current challenge. The current challenge hits home and heart for me, “The Edge of Fashion”, the designers are challenged to create a casual fashion that is edgy and avant-garde, taking inspiration from Alexander McQueen and other famous avant-garde designers. Those who know me, know that the avant-garde is my passion, and I love to put an edge to everything I do. Oh, and did I mention the sponsors? How about sponsors like FDQ magazine, and Robert Tonner among many other generous and fabulous doll people and companies! So come check us out, join the spectators and sing along! 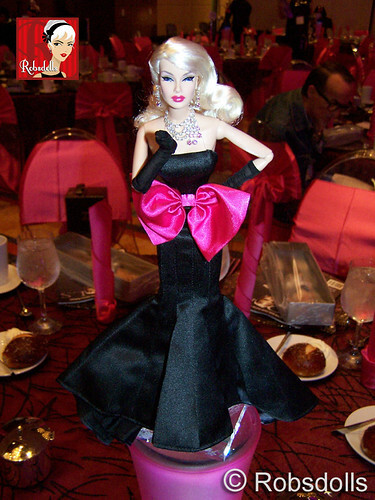 Dania Centerpiece, originally uploaded by Robsdolls™. View my photos of the Fashion Royalty convention on my Flickr pages! This year was the best FR convention to date, so many old friends and new faces. The dolls and events were spectacular. It always amazes me that Alain and the Integrity Toys team can top themselves each year, but they always do! I felt out of the loop having missed the IFDC and National Barbie conventions this year due to my moving, so I was excited and re-energized to be at the FR event!